No? 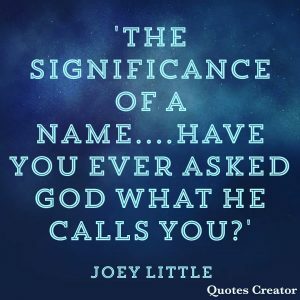 Then why not come discover what he calls you this weekend at Joey Littles Identity Conference in Glasgow on Saturday at 10.30am. We would love to see you there and bless you, your friends and churches. ALL WELCOME! !